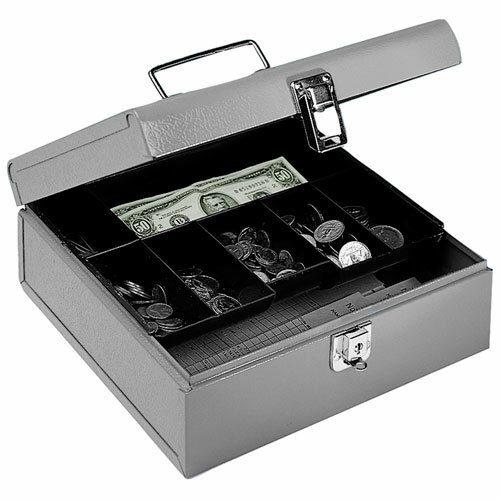 Keep larger denomination bills and checks out of sight. 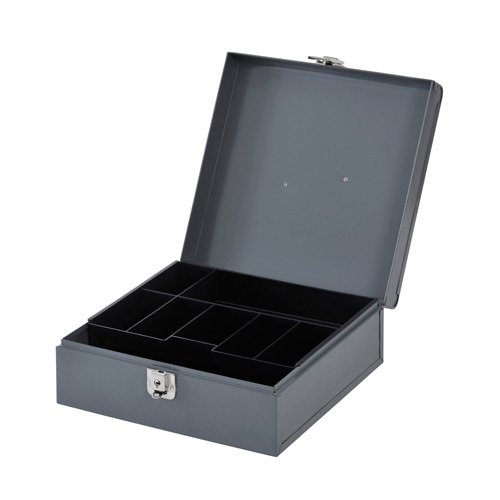 Extra deep cash box features a standard size 7-compartment tray which can slide back and forth to expose storage area below. 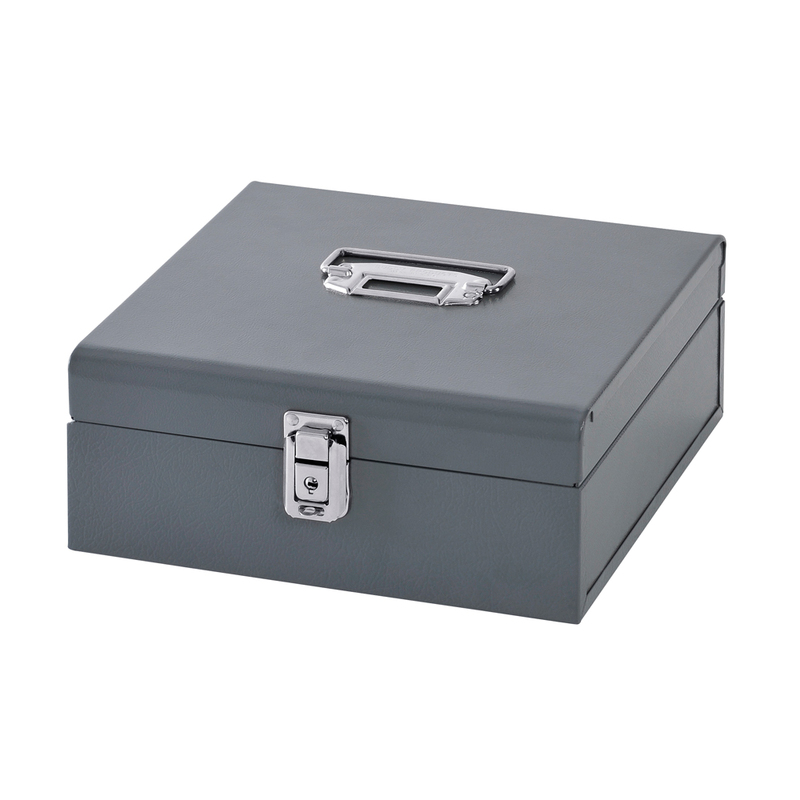 Includes hasp lock to accommodate a padlock (not included).